Nice breakfast served poolside. Seaview room was very nice as well. 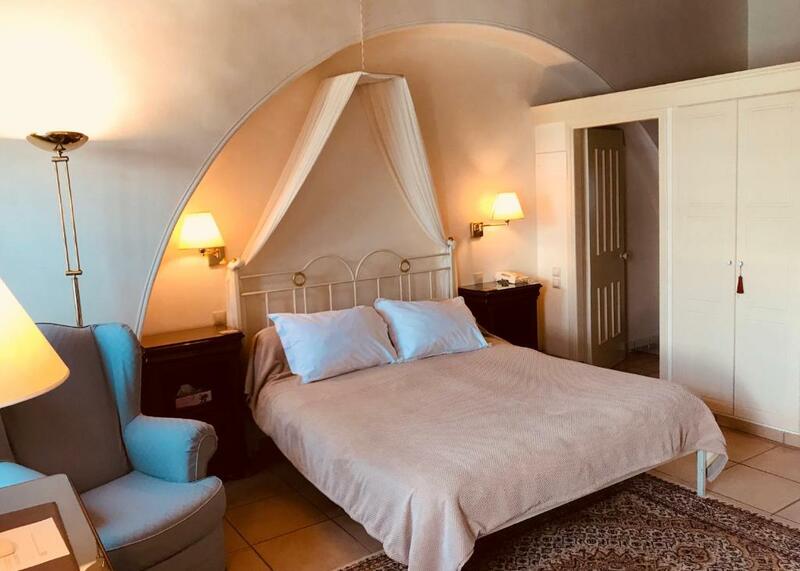 Utterly charming, super comfortable boutique hotel in an historic building with stone floors, thick walls, wood-beamed ceilings and a delightfully landscaped pool. Room very cool and quiet, fantastic breakfast, great staff, sea view. Excellent boutique hotel. Staff very helpful, friendly and personal service. Room excellent. 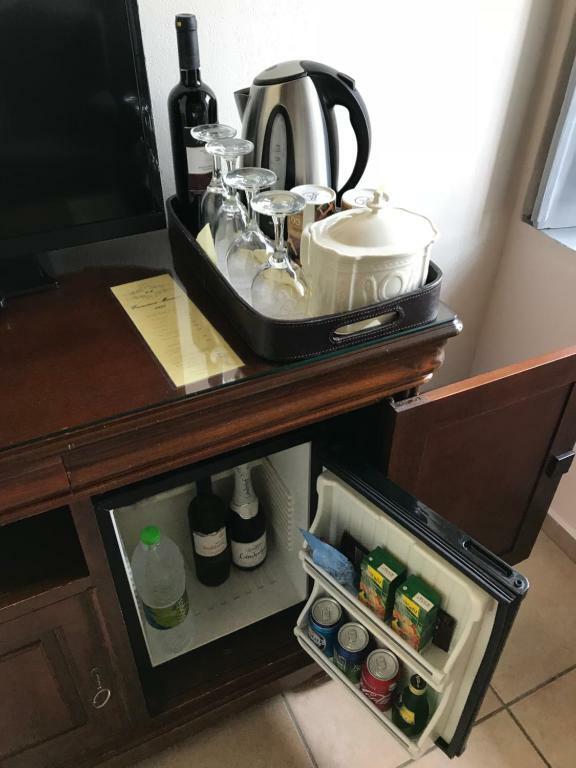 Hotel facilities great. Breakfast extremely good with menu changes every day, all cooked in-house, served inside and outside by the pool. Rooms are spacious and stylishly furnished. Friendly staff. Breakfast was out of this world and well presented. A really beautiful place! 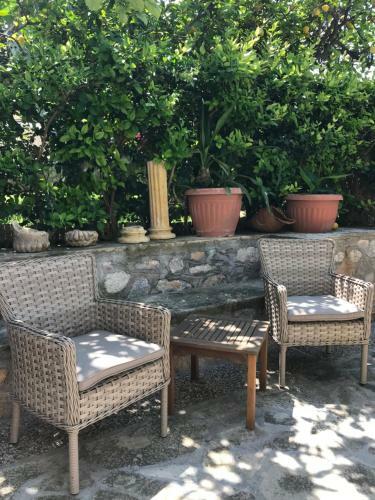 The best memories from staying there are sitting next to the pool among the blossom with the sea breeze in our faces, enjoying a delicious breakfast, fit for a queen! Lovely staff who are so genuinely helpful and nice to chat to. Fabulous, varied home cooked breakfasts, twists on traditional Greek food. The setting was wonderfully peaceful, but also close to restaurants. Very helpful staff. Lovely views from spacious room , with very comfortable bed. Excellent value for money. We absolutely loved Economou Mansion. It was everything the website said and showed it was. It is a very intimate with only six rooms and the breakfasts around the pool are stunning with local delicacies. Highly recommend. Lock in a great price for Economou Mansion – rated 9.2 by recent guests! 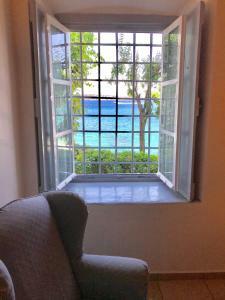 The Economou Mansion is located on the seafront, a 10-minute walk from the center of Spetses. This authentic, old mansion built in 1851, now offers elegant, ground-floor accommodations and friendly service in peaceful surroundings. 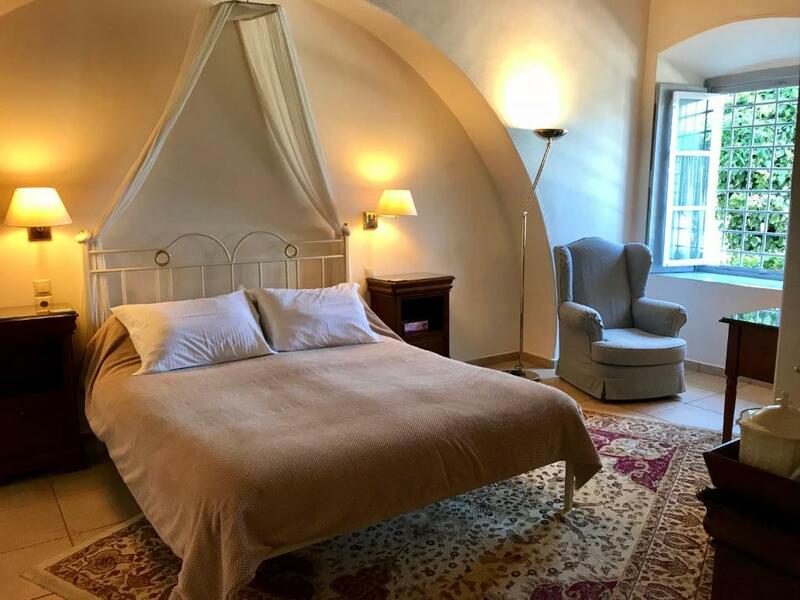 This small pension offers a blend of 19th century furnishings and traditional décor combined with modern amenities such as free Wi-Fi and satellite TV. Traditional homemade breakfast is included in the room rate and is served next to the pool. 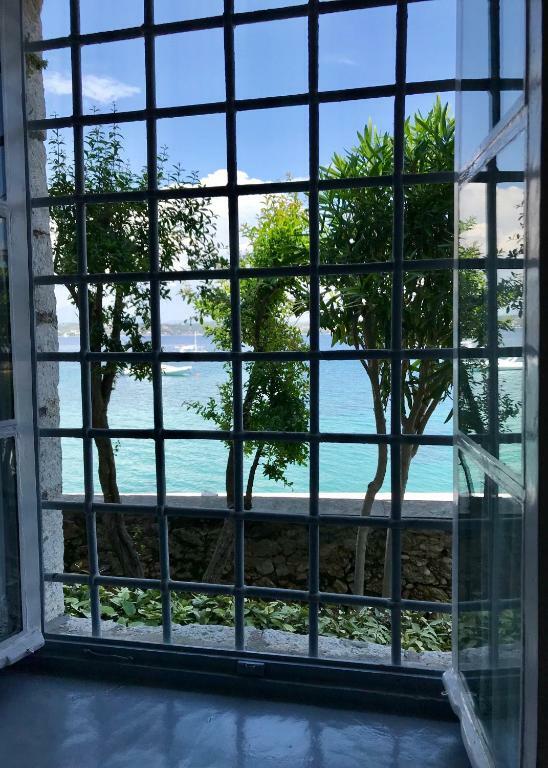 Explore Economou Mansion’s pretty gardens with their stone walls and pebbled courtyards or take a dip in the swimming pool. In the winter months, relax in the living room with its large fireplace. 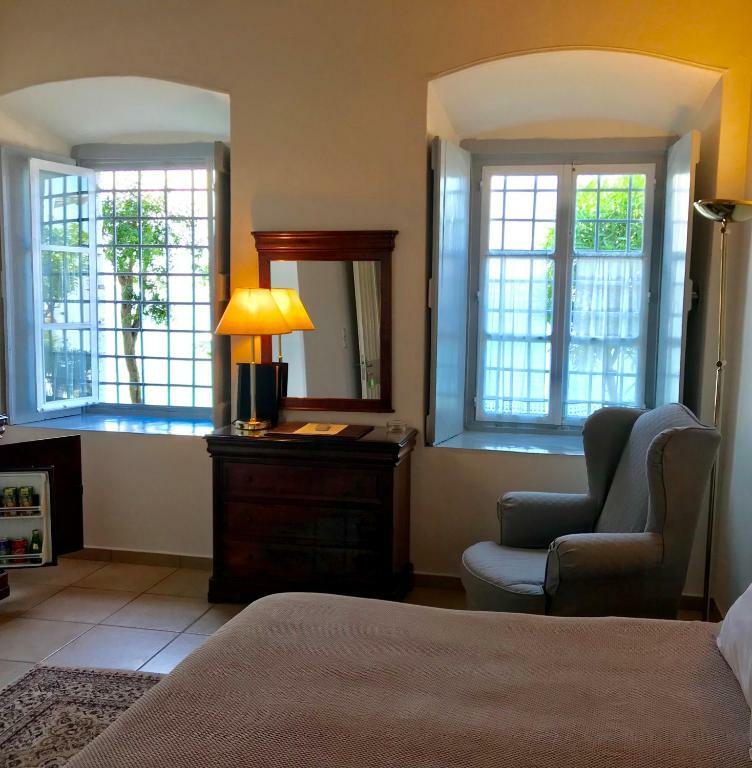 When would you like to stay at Economou Mansion? Combining traditional décor with modern amenities such as free Wi-Fi and satellite TV, this room offers Saronic Gulf views. 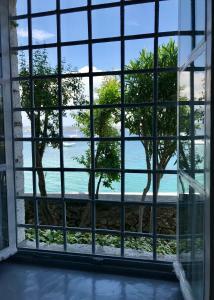 Combining traditional décor with modern amenities such as free Wi-Fi and satellite TV, this room offers garden views. House Rules Economou Mansion takes special requests – add in the next step! Economou Mansion accepts these cards and reserves the right to temporarily hold an amount prior to arrival. Please inform Economou Mansion of your expected arrival time in advance. You can use the Special Requests box when booking, or contact the property directly using the contact details in your confirmation. When one is staying for just five days, it is not easy to find flaws. Location is perfect, as for the breakfast - homemade cakes, freshly cooked eggs. Service is competent and unobtrusive. Needs BBC News on the TV. Breakfast could have been more opulent -- more choices of jam, for example. Only that we couldn’t stay longer. One thing to note very busy with mopeds and scooters in the town and road along the front. Watch yourselves when walking. What a wonderful place to stay. The mansion built in 1851 and surroundings are stunning. Lovely pool and area around. We were met at the port and driven to the hotel. Greeted by Manos shown our room and given a welcome drink. 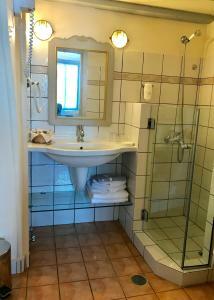 The hotel is in a quiet location yet only a 5-10 min stroll from the main town. Nice bar and several restaurants close by also. We loved the accommodation and staff. So friendly and helpful. The breakfast is a banquet served to your table by the pool and inside if weather bad. We have never been served such a delight of local homemade food - certainly don’t need to eat till dinner. Spetses Island is beautiful. We hired a couple of electric bikes ( from a place close to the mansion on the front) The island is lovely to bike round 25.9 km. Nice Beaches to stop for a swim although not organised as end of season so take water. Plenty of restaurants in the town less expensive than Mykonos or Santorini ! Would recommend this beautiful hotel and we would certainly choose to stay there again. Thank you to the staff for making this such a special stay. Nothing. Would love to go back! Pool could have been slightly warmer, but this is being really picky! Wonderful breakfasts, each day slightly different, a lovely range of freshly prepared food - fresh apple cakes, fresh food, Greek yogurts, croissants, bread, cheese pies or baked eggs and vegetables. All with freshly squeezed organise juice, taken in the courtyard by the pool. A great start each day. The breakfast spread was amazing so if you are into breakfast- this place is for you! The room was comfortable and well appointed. We had a little balcony with table and chairs. The shower was fantastic.